Do your kids love to tell jokes as much as mine do? Sometimes we even pull out a joke book and take turns reading pages after dinner. So much fun! About eight years ago, I pulled out construction paper and markers and made a joke garland to count down the days until Christmas for my oldest child. It was such an easy way to celebrate the holiday season and count down without a big commitment. Now that my middle children are older, I thought they would enjoy the same thing. Except this time I’ve created printables so I can share with you. This Christmas jokes countdown will probably take you 10 minutes to put together and then you get to enjoy it all the way up to Christmas. We typically read the joke for the day at a meal when the whole family is in attendance. 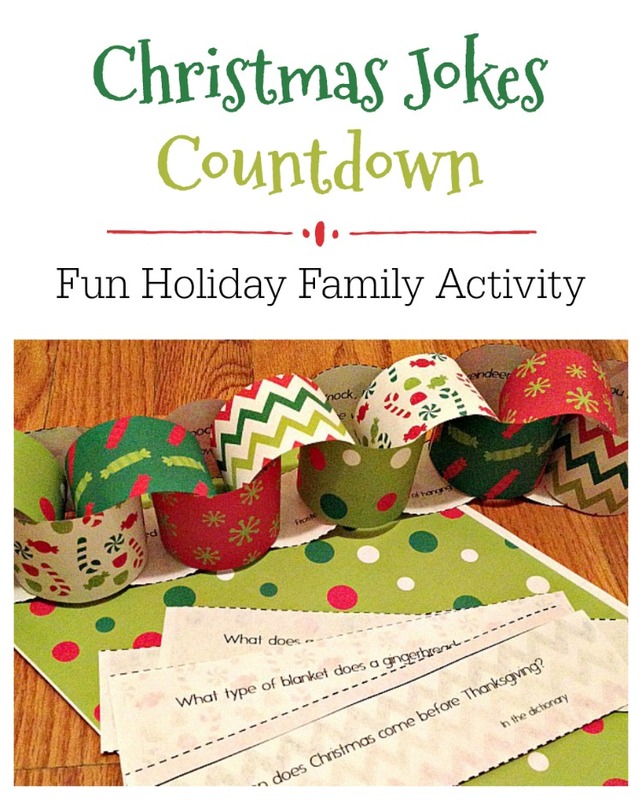 This 11 page printable set includes 25 different Christmas jokes/riddles for your family to guess the answer. 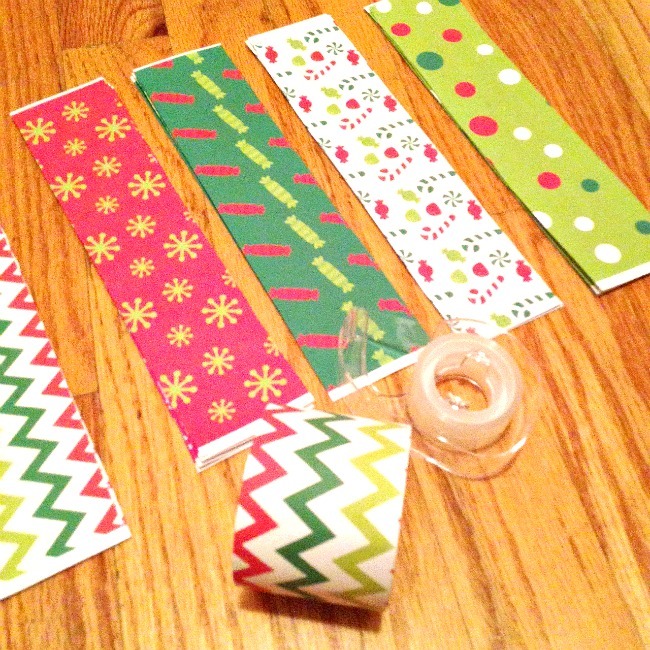 Print the pages, grab your scissors or paper cutter, and tape or stapler and you’re ready to make your countdown! Print the joke pages first. The put the same paper back in the printer so that you can print the patterned pages on the opposite side. Side note: If you do not want to use color ink, you can just print the joke pages. 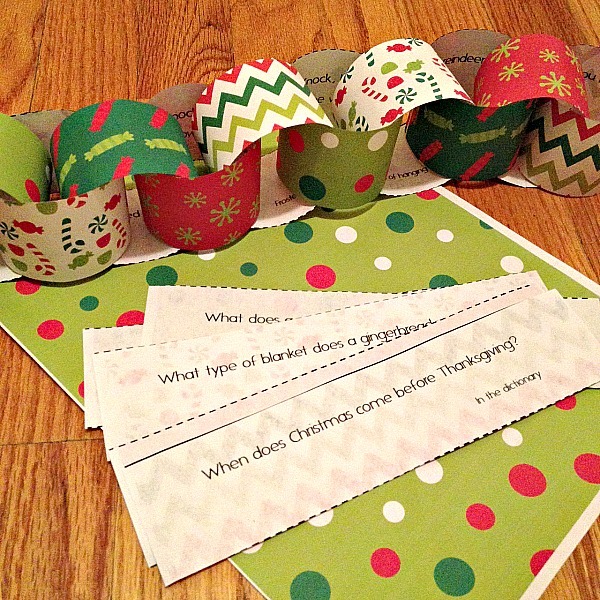 Then cut and glue onto Christmas scrap paper or green and red construction paper. Or you could always leave it white or color the backs on your own. Cut the jokes into strips following the lines. Take a strip and place a piece of tape or staple the ends together forming a circle. I left enough room on the ends so there was enough room not to ruin the joke if the paper accidentally ripped when opened. Form a chain by alternating the patterns for links. 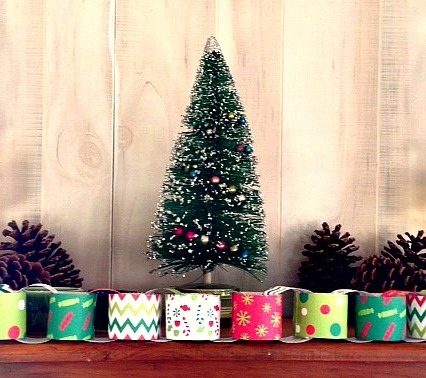 Now you just have to figure out where you want to put your paper chain! This year instead of hanging it up I decided to put it on top of a wood cabinet we have in our dining room. I had to take pictures on my phone, so please excuse the bad photos. This printable Christmas jokes countdown is available for free to my subscribers. If you’re not a subscriber, just fill out the information below and you can get a copy too! You can find more fun Christmas ideas for families here!